The Carnival Fantasy cruise ship sails from Charleston all year. It is a casual and affordable ship that the whole family will like. 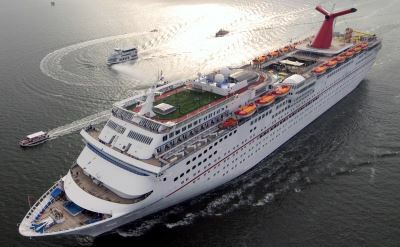 The Carnival Fantasy is home-based in Charleston. It's an older ship, but was upgraded through Carnival's "Evolutions of Fun" program. Features include the Serenity adults-only retreat, Spa Carnival, updated Camp Carnival for the kids, Hasbro the Game Show, Punchliner Comedy Club, and Playlist Productions musicals. 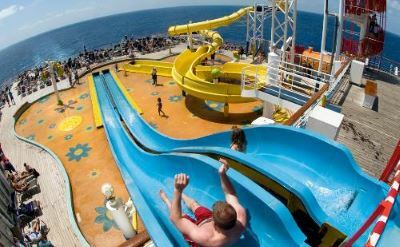 The ship's Carnival WaterWorks aqua-park includes the Twister Waterslide and Splash Park. 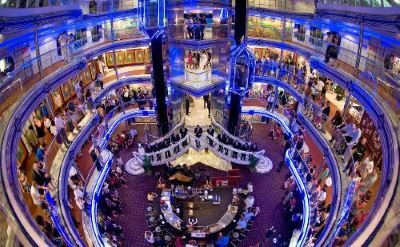 Dining options on the ship include the main dining room, Seaday Brunch, Lido Restaurant, 24-hour room service, Pizza Pirate, Taste Bar, Mongolian Wok, Swirls ice cream, Carnival Deli, and Make Your Own Pizza. For an added fee you can also try Steakhouse Selections, The Chef's Table, and Coffee Bar. 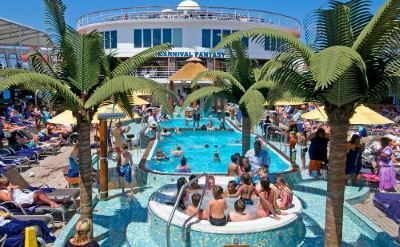 Read a Carnival Fantasy cruise review.